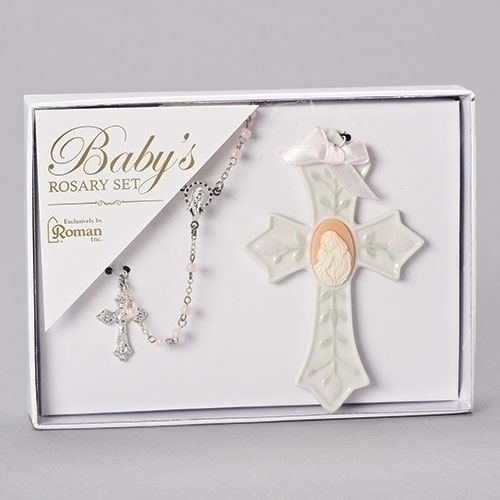 This Baby's rosary and cross set makes the perfect "new baby" or Baptism gift. The cross is 4 inches high and made of porcelain. It features a pink and white Madonna with child in the centre with a pink ribbon. The pearl rosary has a silver crucifix. Gift boxed.